Ikechi Uko is a pathfinder. With passion and and unquenchable hunger for knowledge, he has signposted the Nigerian travel and tourism landscape with two trademark products, Akwaaba Travel Market and Naija Seven Wonders. Many people do not like to stand beside Ikechi Uko. At close to seven feet tall, he makes a lot of people feel short and small. For those who lack the audacity of dreaming big dreams, they have another reason to keep their distance. Perhaps, owing to his height, Uko keeps his ambition in the region of a skyscraper. If the goal is not large and complicated, he does not take a shot at it. Maybe it�s connected to his study of Geography at the University of Ibadan that has Arguably, one of the leading travel and tourism enterpreneurs, Uko became involved in the travel trade by happenstance when he was hired to work on a publication of tourism destinations by the late icon of Nigerian journalism, Alhaji Babatunde Jose. This project opened his eye to the goldmine in the sector and he has not looked back or done any other thing since. His love for tourism and travel was further fueled when he worked on the team of Happyland-Happyworld, one of the most promising tourism projects in Nigeria that did not quite take off. It would be the last time he worked for anyone. Between the Jose project and Happyland-Happyworld, Uko convinced himself that he had garnered enough knowledge to launch a solo effort. His first attempt as a businessman was in publishing. The product, Travellers� Weekend gave him the platform he needed to explore. 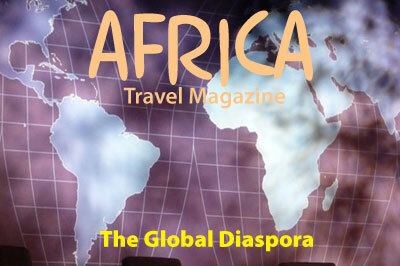 A couple of years later, it transformed into African Travel Quarterly to embrace a bigger vision that encompassed the African continent. Uko was becoming better known at what he did, not only in Nigeria, but throughout Africa and around the world. What helped him to rise fast on the ladder of recognition in the travel and tourism world is his hunger for knowledge. His appetite to consume information is ravenous. The Akwaaba Travel Market which Uko established as a platform for buyers and sellers in the African travel trade recently clocked 10 years. Uko recalled the initial challenge. For him, it was exciting because it was a new journey. He had no fear. There was nothing to lose. Organising the travel exhibition is like going to school all over again. It has not been a bed of roses. He learnt many instructive things, particularly about the attitude of Nigerians. �Every Nigerian believes he knows something about something, when in actual fact they have never really interrogated that thing. I see it manifest in so many areas. 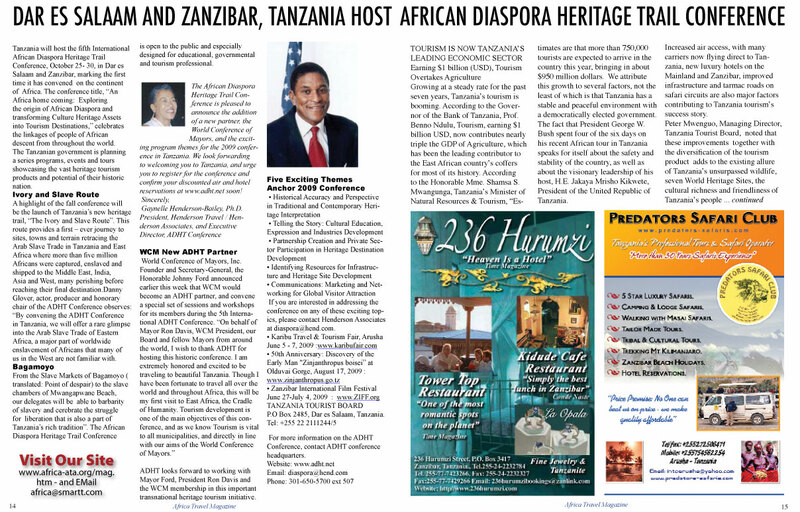 partnerships with the African Diaspora. The Summit aims to popularise the Africa Diaspora Summit within the following spheres and sectors: Government; Academia; think-tanks; Business; Diplomatic Corps; Development Agencies; and the general public. The Summit will bring together leaders from over 60 countries, AU Member States, AU organs, various organizations working for the Diaspora, and other relevant guests. PLACE: Sandton Convention Centre in Sandton CBD, Johannesburg, South Africa. 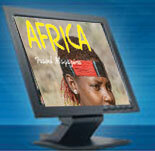 News: Air Highways to Africa: Supplement Atlantic and Pacific Routes from USA and Canada. Between January 2004 and May 2005, the United Nations High Commissioner for Refugees (UNHCR) established 12 refugee camps in the border region between Chad and Sudan for Sudanese refugees fleeing the armed conflict in West Darfur. These camps are home to 250,000 registered Sudanese refugees. 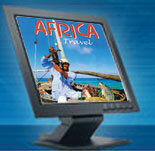 Outside the Box: Electronic Web Only World Editions of Africa Travel Magazine and Downloads 24/7 on Corporate Press Display Internet Kiosk. 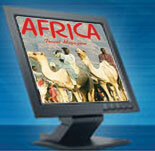 Most printed editions are previewed for several months on our websites.